In response to the skyrocketing price of college, states have enacted policies to limit how much public colleges and universities can raise their tuition and fees. As of Fiscal Year 2018, 14 states had a freeze or cap on in-state undergraduate tuition. This year, Virginia Delegate David Reid (D-32) introduced HB 2476, which would create a model for determining which of Virginia’s public colleges and universities can raise their prices and by how much. Institutions that have kept price increases low over a 10-year period compared with the statewide average would be eligible to raise their prices. Allowable increases would then be based on some factor of the Consumer Price Index for all Urban Consumers (CPI-U). There’s a formula, and it’s transparent. While alternative metrics could be used to determine eligibility (perhaps as part of a broader performance-funding framework? ), a transparent formula for how much a public college or university can raise its price provides greater predictability not just for institutions, but for students and families as well. Allowable price increases would be based on a recognized inflation index. The model takes inflation into account by using the CPI-U as a basis for allowable price increases. 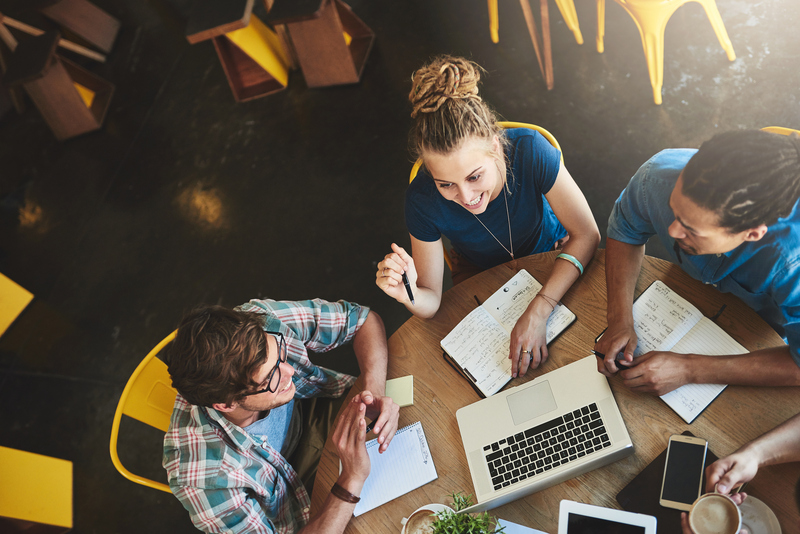 Use of a recognized inflation index can help ensure that prices don’t go up just because colleges and universities can charge more. There’s incentive for institutions to keep price increases low. The model uses the amount of an institution’s 10-year price increase not just for determining eligibility but also for assigning a CPI-U multiplier. The lower an institution’s price increase over 10 years, the larger its CPI-U multiplier. It treats institutions differently. The model includes a differential price cap for eligible institutions based on performance. Institutions like Virginia State University (VSU) and Old Dominion University (ODU) would be rewarded for keeping their price increases low over the past 10 years. They would be able to raise their prices based on an assigned multiplier to the percent change in the CPI-U. VSU would be able to raise its price by $241, and ODU would be able to raise its price by $227. 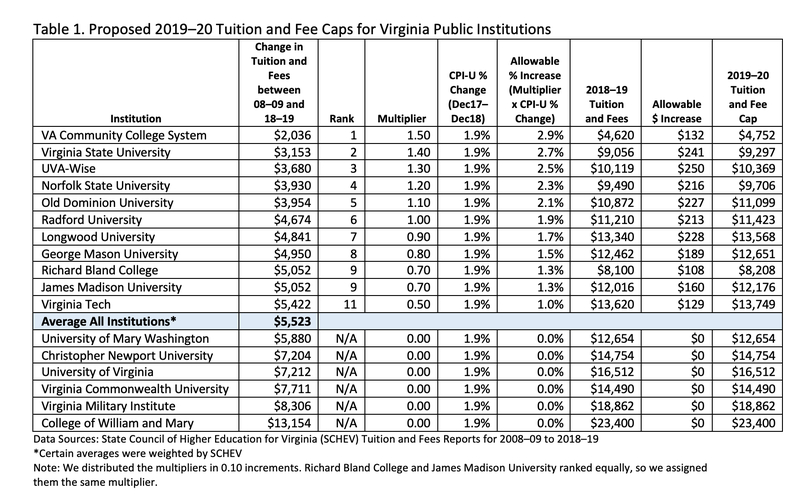 Christopher Newport University (CNU) and the College of William & Mary would not be eligible to raise their prices because their 10-year price increases were above the state average. They would essentially have to keep their prices flat next year. Delegate Reid’s proposed model is consistent with recommended guidelines for states that choose to enact price freezes and caps. We think the model merits serious discussion, especially if it results in price increases that are not just more predictable but also more manageable for students and families.